Abstract—The purpose of this research paper is to identify and evaluate the obstacles of service delivery within in judicial domain and examine to what extent it can be improved. This report covers the evaluation of the current service delivery process within judicial domain and identifies the limitation with them. Besides that, it purposes an improved framework to optimize the services within judicial domain. Similarly, i*modelling frame work is used to identify the relationship between various key actors and the responsibilities between them to enhance the service delivery. Furthermore, it aims to implement the recommended model in the real service operation within judicial domain and evaluate the result. It then discussed about the possibilities of use of ICT within judicial domain to improve the service delivery. The impacts of poor resource allocation and the cost measurement of ac-tors are also discussed in this report. This study recommends conducting additional assessment to implementation of service optimization process within judicial domain. To conclude, this research paper proposes a way to organize services within judicial domain based on findings which assists judicial domain to provide effective and efficient service delivery to serve the community. Index Terms—Judicial service domain, service delivery framework, business processes, organizational modeling. 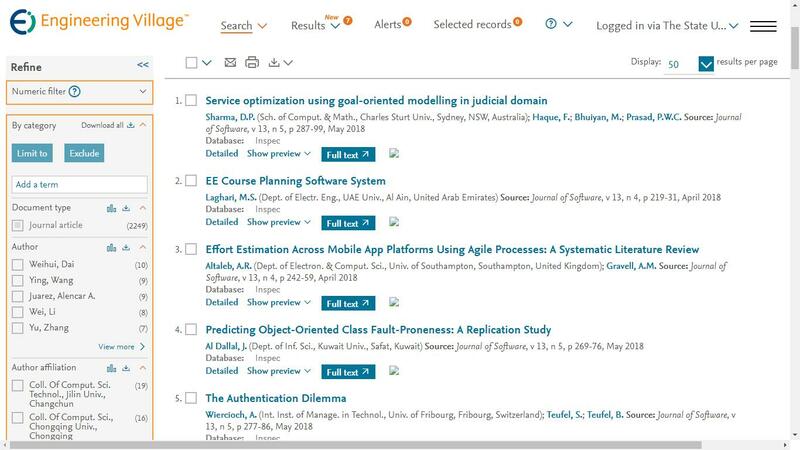 Cite: Deependra Poudel Sharma, Farzana Haque, Moshiur Bhuiyan, P.W.C.Prasad, "Service Optimization Using Goal-Oriented Modelling in Judicial Domain," Journal of Software vol. 13, no. 5, pp. 287-299, 2018.